Hey, friends welcome to TheMentalClub.Com – In this article, I will tell you how to connect mobile to LED TV with the USB cable or without a USB cable. We have to face some problem when we try to connect mobile with LED TV. If you have a LED TV in your home sometimes, we try to connect your android mobile with LED TV and want to play music, song, video. Some people think that it is very difficult to connect mobile with LED TV but, we told you it is very easy to connect mobile to LED TV. The display of our android mobile phone is small 5 to 6 inches. When we play video or watch songs or movie on our mobile, we feel boring because of the small screen. Some people use smart LED TV (Android TV), and some people use a normal LED TV. 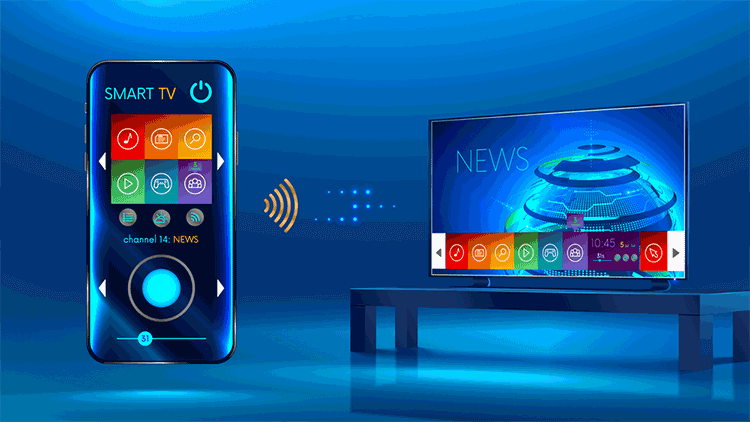 If you have a smart LED TV or normal LED TV at your home, then you can easily connect it with mobile and watch your mobile screen on your LED TV. It is very easy you need to know how to connect android mobile to LED TV. If you have android LED TV (Smart TV), then you can connect it with android mobile via cast screen and Wifi without any cable. If you have a normal LED TV (Non-Smart TV), then you must have to use a wire ( USB Cable) to Connect Mobile with LED TV. Note: Normal led TV Connect with Wire (USB Cable) and Smart LED TV Connect with Wifi in different ways. This option is best for Normal LED TV (Non-Smart LED TV). Anyone can connect it with android mobile and LED TV easily. You need a USB cable for connecting them which is easily available to the local market. Buy a USB cable and connect it with LED TV. Connect another port of USB cable with your Android Mobile. After connecting the USB cable, All the data of your mobile start showing on your LED TV like videos, photos, and music. Now you can watch your mobile videos and photos on LED TV. All the Smart LED TV (Android TV) build with wifi direct, with the help of this you can connect your wifi with your LED TV. After connecting the wifi network, your mobile screen will display on your LED TV. How to forward a call to another number? How to take Pictures from the video?